Starting this morning in Courtroom 1 are the linked appeals of R (Chester) v Secretary of State for Justice, and McGeoch v Lord President of the Council & Anor, listed for two days before a panel of seven (L Hope, L Hale, L Mance, L Kerr, L Clarke, L Sumption and L Hughes). In Chester the appellant is a post-tariff indeterminate sentence prisoner serving a life sentence for murder, and so is banned from voting in in national and EU elections under the Representation of the People Act 1983 and the European Parliamentary Elections Act 2002. McGeoch is a Scottish appeal from the Court of Session. The appellant prisoner is a British national serving a life sentence, and will be eligible for parole in 2015. The Supreme Court will consider whether to issue a declaration that the statutory ban on the appellants voting in Parliamentary and European elections is incompatible with ECHR, art 3 and/or EU law. McGeoch also raised issues of whether local government elections and elections to the Scottish Parliament are properly to be regarded as ‘municipal elections’ under EU law. On Thursday 13 June 2013 is the matter of Kapri v Lord Advocate representing the Government of the Republic of Albania. The appellant Albanian national is alleged to have been responsible for the murder of another Albanian in London. 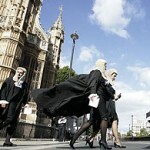 The Met Police, unable to locate the appellant, invited the Albanian authorities to prosecute him. He was tried in absentia, convicted, and sentenced to 22 years’ imprisonment. Later, the UK police having located the appellant in Scotland, the Albanian authorities requested his extradition. The appeal to the Supreme Court concerns whether his extradition would be incompatible with his ECHR, art 6 rights. On Wednesday 12 June 2013 the Supreme Court will hand down judgment in In the matter of B (a Child), Petrodel Resources Ltd and others v Prest, and Ust-Kamenogorsk Hydropower Plant JSC v AES Ust-Kamenogorstk Hydropower Plant LLP. There is also a hand down on Thursday 13 June 2013: O’Neill No 2 v Her Majesty’s Advocate. It’s a busy week in Courtroom 3 for the Privy Council. On Monday 10 June 2013 is the Gibraltarian appeal of Prime Sight Ltd v Lavarello. The respondent is the trustee of a bankrupt individual, and the Judicial Committee will consider whether a genuine dispute on substantial grounds exists as to the debt said to be owed. On Tuesday 11 June 2013 is the appeal of The Director General, Mauritius Revenue Authority v La Bonne Marmite Café Restaurant & Ors. The issue is whether hotel and restaurant tax imposed under the Hotel and Restaurant Tax Act 1986 of Mauritius was chargeable on taxable receipts of the respondents at the time of the supply of services, or at the time payment was actually received. On Wednesday 12 June 2013 is another Mauritian appeal: General Construction Ltd v Chue Wing & Co Ltd. There are no details available regarding the issues raised in this matter. Finally, on Thursday 13 June 2013 is the appeal of Ackerley v Her Majesty’s Attorney General of the Isle of Man. The appellant suffers from autism, and was convicted of committing an indecent assault on a sleeping victim after a party. The Privy Council will consider whether fresh expert evidence demonstrates that insufficient account was taken of the appellant’s autism at the trial, and whether the High Court of Justice of the Isle of Man applied the wrong test for leave to appeal. Ministry of Defence v Smith & Ors, heard 18 – 21 February 2013. Benedetti v Sawiris & Ors, heard 26 – 28 February 2013. R v Brown, heard 7 March 2013. 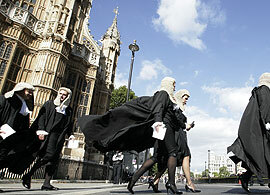 Bank Mellat v Her Majesty’s Treasury, heard 19 – 21 March 2013. Abela & Ors v Baadarani, heard 10 – 11 April 2013. Booth v The Parole Board, Osborn v The Parole Board and In the matter of an application of Reilly for Judicial Review (Northern Ireland), heard 16 – 18 April 2013. Cusack v London Borough of Harrow, heard 23 April 2013. Virgin Atlantic Airways Ltd v Zodiac Seats UK Ltd (formerly known as Contour Aerospace Ltd), heard 29 – 30 April 2013. R (AA) v Secretary of State for the Home Department, heard 6 – 7 May 2013. R (Sturnham) v Parole Board for England and Wales & Anor, heard 9 May 2013. Apollo Engineering Ltd v James Scott Ltd , heard 13 May 2013. Re Nortel Companies; Re Lehman Companies; and Re Lehman Companies (No 2), heard 14 – 16 May 2013. Re an application by Central Craigavon Ltd for Judicial Review, heard 15 May 2013. North & Ors v Dumfries and Galloway Council, heard 20 – 21 May 2013. R v Hughes, heard 5 – 6 June 2013. R (New London College Ltd) v Secretary of State for the Home Department, and R (West London Vocational Training College) v Secretary of State for the Home Department, heard 5 – 6 June 2013. Leave a reply on "In the Supreme Court w/c 10 June 2013"